David Liebman, SIOR, JD, is the Managing Broker of Merit Partners, a Chicago based firm focused on re-development, leasing and management. In his capacity, David represents buyers, tenants and investors in the acquisition, leasing, sales and build-to-suits of commercial buildings and land. With 30 years of industry experience and more than 450 transactions, valued at over $750 million, David enables his clients to make informed real estate decisions that fulfill all objectives and requirements: economic, logistical and otherwise. As an active Board Member, Past Chicago Chapter President and multiple committee member of the Society of Industrial and Office Realtors (SIOR), David is highly respected locally and nationally, and leverages his many relationships to create significant and unique value for his clients. Previous employment includes 10+ years with each of CBRE and Colliers International; 5+ years as a corporate, real estate and litigation attorney; and 5+ years at a custom designer and fabricator of special purpose steel door systems and hardware. David is a U.S. Green Building Council LEED Green Associate, recipient of his law degree from DePaul University College of Law, and an alumnus of Colgate University where he majored in Geology. Aaron Paris is a Founding Partner of Merit Partners, LLC, a Chicago based firm focused on re-development, leasing and management. Aaron has significant experience in real estate development and operations. As President of MS Management Services, a Metropolitan Structures’ Company, from 1992-1996, he grew the Chicago based service company into a national firm handling more than 18 million square feet of commercial real estate and over 4,000 residential units. The Company was successfully sold to Cushman & Wakefield in 1996. When Aaron joined Dermody Properties in 1998, it owned 12 million square feet of distribution and industrial properties, 85% of which was located in the Nevada. Nine years later, under his direction, the company expanded its portfolio to 25 million square feet throughout the country, with less than 50% of it in Nevada. In July, 2007, the portfolio was sold to Prologis for $1,850,000,000. Aaron also spent part of his 18 years for Metropolitan Structures as a senior executive in Los Angeles at its California Plaza CBD development. He relocated for three years to Montreal at Metropolitan Structures Nuns’ Island PUD development. Aaron was a senior executive at Tooley & Company in Los Angeles and was a member of Op2mize. 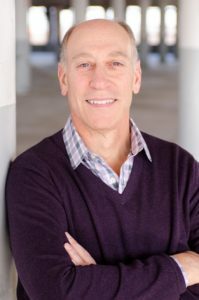 Aaron received his MBA in 1975 from the Kellogg School of Management at Northwestern University and he is an alumnus of the Bradley University. Paris is also a CPA. Paul Fishbein is a Founding Partner of Merit Partners, a Chicago based firm focused on re-development, leasing and management. Paul’s goal is to position properties that are desirable and deliver an excellent value for its tenants and enhance the community. Paul has detailed expertise in the redevelopment of very large scale vacant properties, many of which received accolades from city, state and federal agencies as catalysts for job creation and significant gentrification for communities. Paul’s 26 years of experience covers commercial real estate finance, brokerage and development expertise. Prior to Merit, Paul spent 16 years as a partner with Centrum Properties and Amerimar Enterprises. He has success as both a developer and advisor with over $750 million in transactions, financing, and developments to his credit. Paul is a U.S. Green Building Council LEED Green Associate and an alumnus of the University of Illinois at Chicago where he majored in Economics.